Highway 13 was closed for about two hours yesterday morning between Meeker and Rifle, after a semi and car collision. The accident occurred just after 5. The highway was reopened to one lane of traffic around 7 and was fully open by 11 yesterday morning. 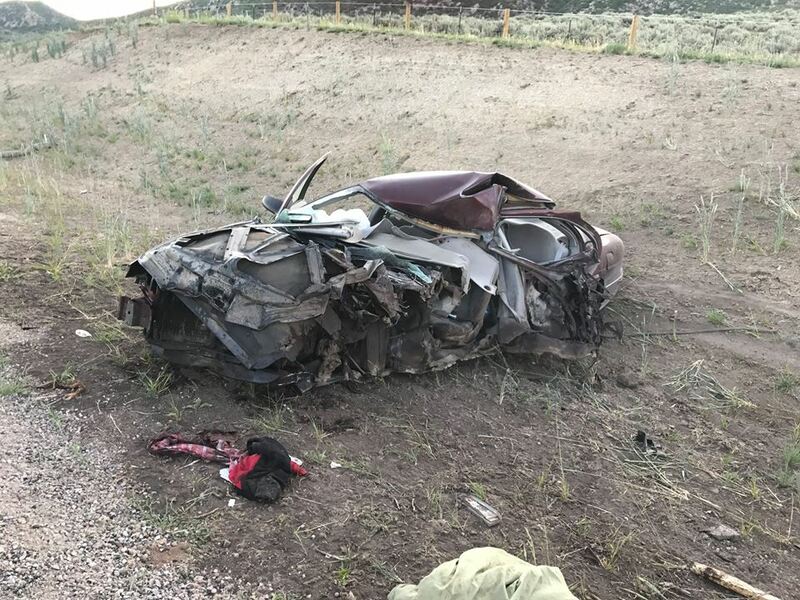 The driver of the car was flown to Saint Mary’s Hospital in Grand Junction with serious injuries. The driver of the semi was not injured. Their identities have not been released. Photos from the scene of the accident courtesy of the Rio Blanco County Sheriff’s Facebook Page, click to enlarge. This entry was posted in News and tagged 13, car, closed, Collide, collision, highway, hospital, injuries, Saint Mary's, semi, serious. Bookmark the permalink.